I got to watch the Royal Rumble live on the WWE Network this weekend, and on the whole I was very pleased. The undercard was great, and the Rumble Match itself was a lot of fun. It didn’t get hijacked again, which is certainly a plus. But once again, we have controversy with the winner. Perhaps that’s to be expected at this point. 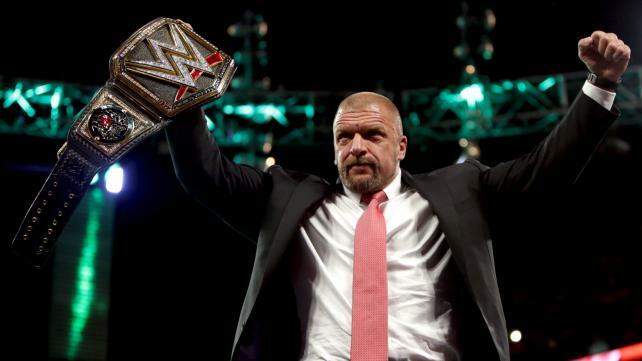 Triple H is the new WWE World Heavyweight Champion, and will main event Wrestlemania XXXII in Dallas. His opponent is obviously going to be Roman Reigns. Here’s the bottom line as far as I’m concerned: Triple H vs. Roman Reigns at Wrestlemania? Yes. Triple H defending the WWE Championship against Roman Reigns at Wrestlemania? No. I understand they’re making the best of a bad situation. John Cena, Randy Orton, Seth Rollins, and so many others are out with injuries. 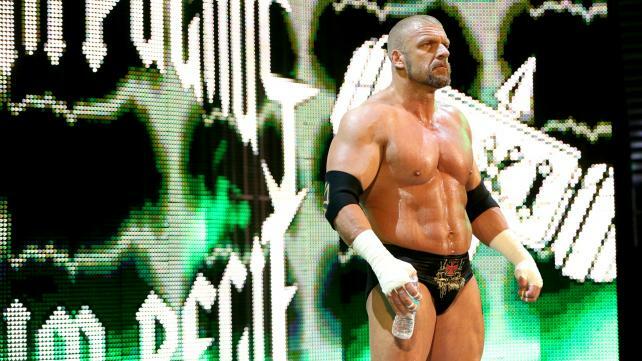 Triple H is a big star, and one of the few true heels in WWE right now. But the fact that they had to put the title on Triple H to create a match worthy of a Wrestlemania main event (arguably) is an indictment of WWE’s failure to create new marquee stars. In a perfect world, it would be someone like Dean Ambrose or Bray Wyatt in that main event. Hell, what about Brock Lesnar? Even crowds that sit on their hands will still pop for Brock! They’re damn sure paying him like a main eventer! Why not use him like one? I’m sure WWE will do their best to build this up. And to their credit, Reigns and Hunter have been able to create a palpable tension, which was on display at the Rumble. But all in all, this match is a disappointment. It shouldn’t have to be Triple H main eventing Wrestlemania again. Someone else should have been groomed to step in. They really chickened out with this one. The Rock makes a surprise appearance on Raw, mixes it up with The New Day. It’s always great to see The Rock. And it’s great to see somebody go “off the script” on this show for once. I was wondering why they were chanting “Randy Savage” at him. And of course, he and The New Day were great. 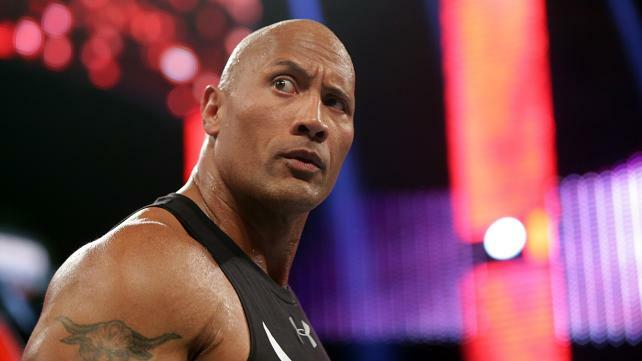 The buzz surrounding The Rock is that he’s not going to be in the ring at Wrestlemania. That is, simply put, awful. They don’t need Rock quite as bad as they did a few years ago. But they could sure as hell use him. And no, not as a corner man for Roman Reigns. You put Rock in Roman’s corner, and he’ll overshadow him. Rock needs to do his own thing. What that could be at this point, I’ve got no idea. But still, Rock in a non-wrestling role is better than no Rock at all. Roman Reigns vs. Dean Ambrose vs. Brock Lesnar announced as the main event for Fastlane. Winner will face Triple H for the title at Wrestlemania. Wait…doesn’t Roman have a rematch clause? Wouldn’t that grant him a rematch automatically? Yeah I know, wanting this to make sense is sometimes too much to ask. They really dangled that Dean Ambrose carrot in the Rumble match, didn’t they? You talk about building new stars, that could have been such a great moment for Dean Ambrose, and for the fans. No one would have seen that coming, and it could have changed the complexion of Wrestlemania completely. But alas, Triple H won. It’s encouraging that he’s still in the title picture, though. This match is obviously just a formality. Reigns is main eventing Wrestlemania again. They practically spelled it out in the opening segment. 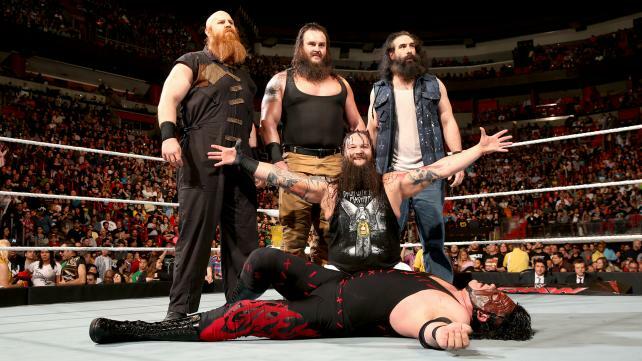 The Wyatts will come in and cost Brock the match, and perhaps let Reigns beat Ambrose to earn the spot. Bing bang boom, Wrestlemania main event. Not a great one, mind you. But that’s what they’re going with. AJ Styles def. Chris Jericho. 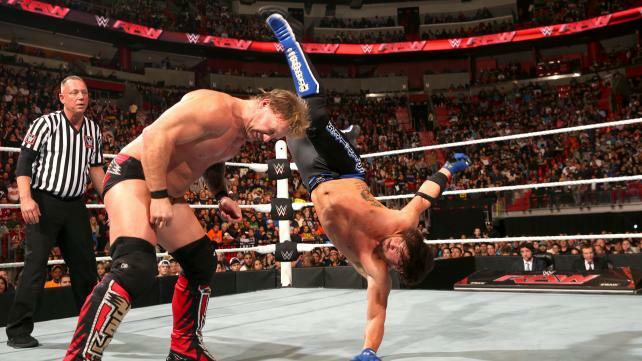 For a lot of fans, AJ Styles’ debut was the highlight of the Royal Rumble, and for good reason. To say the very least, AJ is special, and seeing him lock up with Chris Jericho tonight was special. For a lot of WWE fans, this was their first chance to see AJ wrestle a traditional match. And he couldn’t have had a better opponent than Jericho. Hopefully a win this big means they’re actually going to put some time and effort into him. But then again, Jericho has been generous with a lot of guys in his career, so perhaps hope is the best we can give right now. I hope we see this match again soon. It seemed like Styles and Jericho were still feeling each other out a little bit, which is to be expected. But for the most part, they were still very smooth. I do wish Styles had sold the effects of the Walls of Jericho, though. A little wince or something is all I’m asking. Also, we haven’t seen the Styles Clash yet, which seems odd. Are the higher-ups afraid it’s going to injure people? I’d have to assume not, or they wouldn’t have let the announcers mention it. So here’s an idea. They need a Wrestlemania opponent for The Undertaker in his home state. Why not AJ Styles? The Phenom vs. The Phenomenal One. Chances are they’d have a match on par with ‘Taker’s battles with HBK, Triple H, and CM Punk. Also, Braun Strohmann is obviously being built up for something. Please don’t let it be a Wrestlemania match with The Undertaker. Another day? Maybe. But not Wrestlemania. Sasha Banks def. Becky Lynch via disqualification when Charlotte interfered. See what a difference it makes to have a match with a story behind it, rather than just throwing them out there cold? The momentum from the Rumble definitely carried into this match. I’m pleased to see they aren’t casting Becky aside in favor of Sasha. I’m also happy we didn’t see much of Ric Flair when Charlotte came out. You could see him as she was walking back up the ramp, but that was it. They need to be careful about picking their spots with him, so he doesn’t overshadow his daughter. They did that well this week. It’s interesting to see Sasha Banks positioned how she is right now. She seems to be cast as an anti-hero. But the “Boss” character is clearly a heel. Sasha hasn’t changed her demeanor at all. I’m curious to see how her character evolves (if at all) heading into Wrestlemania. The fans have been chanting “We want Sasha!” for months now, and thankfully now we have her. Kevin Owens def. Dolph Ziggler. Really solid match between these two, as always. It’s been a big week for Owens. He and Dean Ambrose had a hell of a fight to start the Royal Rumble, and seeing Owens eliminated by Sami Zayn was one of the highlights of the Rumble Match. They didn’t follow that up on Raw, which was a disappointment. But I do hope we see them get a match at Wrestlemania. They both deserve it. Also…what exactly did WWE offer Dolph Ziggler when he re-signed last year? It couldn’t have been a singles push. They must be paying him really well. Kalisto def. The Miz. They corrected a major error at the Rumble, letting Kalisto take the title back. And while a win over The Miz might not mean as much as it used to, it helps solidify Kalisto as a credible United States Champion. Kudos to WWE for righting a wrong. 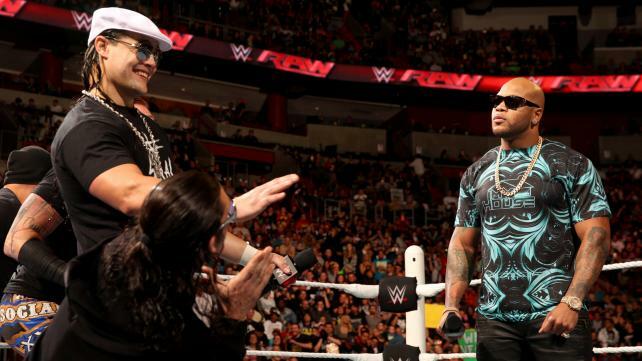 Bo Dallas has a rap battle with Flo Rida…and does pretty well. Did Flo forget his lines or something? Because Bo came off better in that rap battle than the actual rapper. Considering what a big deal WWE makes out of this guy, that’s pretty sad. Goldust tries to recruit R-Truth as his new tag team partner. In contrast to a lot of WWE’s attempts at comedy, both these guys actually have the potential to be entertaining. They’ve got a great track record in that respect, and I’d love to see what they can bring to the table. I say go for it! This entry was posted in Wrestling and tagged AJ Styles, Becky Lynch, Bo Dallas, Braun Strowman, Bray Wyatt, Brock Lesnar, Charlotte Flair, Chris Jericho, Dean Ambrose, Dolph Ziggler, Flo Rida, Goldust, Kalisto, Kane (WWE), Kevin Owens, R-Truth, Ric Flair, Roman Reigns, Roman Reigns Royal Rumble, Sami Zayn, Sasha Banks, The Miz, The New Day, The Rock, The Rock Wrestlemania, The Undertaker, The Wyatt Family, Triple H, Triple H Royal Rumble, Triple H WWE Champion, WWE, WWE Monday Night Raw, WWE Royal Rumble 2016, WWE Royal Rumble results on 01/26/2016 by primaryignition.